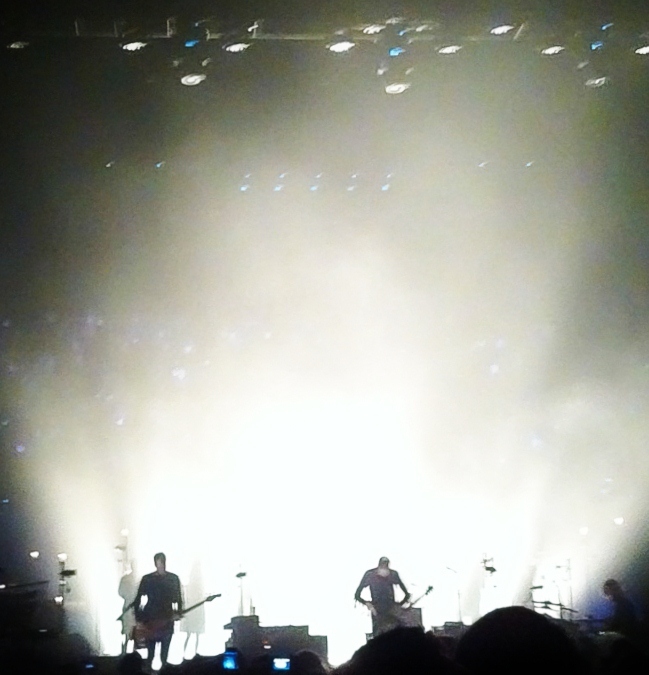 On Monday I saw the band Sigur Ros in concert. It was an astonishing night. Experiencing live music is different to merely listening to it and the all-consuming experience of that night was overwhelming. 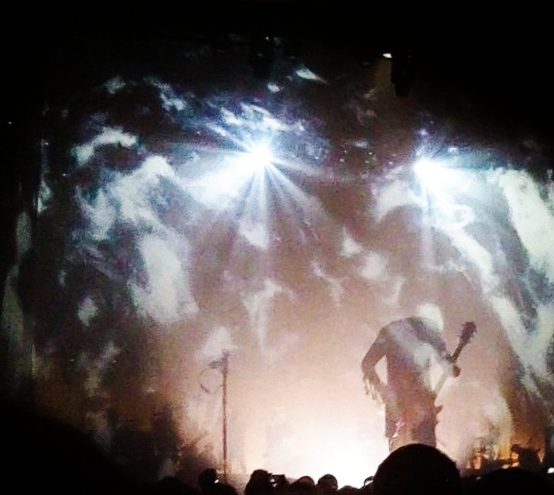 For me their music is made more intense by the fact that their lead singer Jónsi sings in his native Icelandic, or sometimes in his own language that he calls Hopelandic (which in less proficient hands might be unbearably pretentious). Not that it makes much difference anyway as my Icelandic isn’t up to much, whatever language he sings in his voice is like an otherworldly instrument in the mix. Without coherent words to cling to my ear seeks out the familiar melodies, rhythms and patterns in the music. Their sound is so amorphous at times that this is hard to do but then a recognisable phrase emerges from the maelstrom of sound like a bright tendril of meaning that coils around my soul to draw me onwards and out of myself. And that’s what I found so overwhelming about the experience: an awakening longing and yearning at once deeply sad and intensely joyful. Words are not the language of the soul. 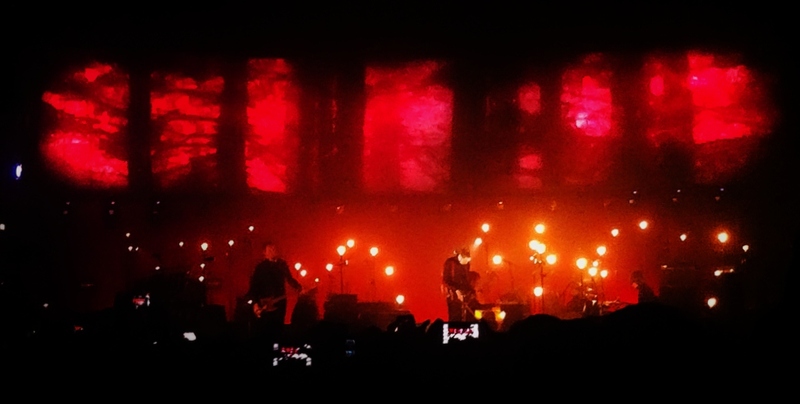 The sounds, lights, and all encompassing experience beckoned to a deeper place that if I’d had the security of words I could sing along to or at least follow in my head, I would never have reached. I experienced something similar a few years ago when I walked the Camino to Santiago de Compestela in Spain. Each night I would attend mass in one of the little churches along the way. As I know very little Spanish this meant that the only way I could connect with these services was to engage with the deeper rhythm of the soul, the enacted story, the smell of the incense, the tone of the prayers and I was drawn to that place beyond words. When we grasp for these stories then that process leads some of us to religion and others away from it. For me the story that seems to make sense most of the time (although by no means all the time) is a story that includes God, particularly the God that emerges from the Jesus tradition. Sometimes the God/Jesus story makes sense as I fumble for meaning and sometimes it doesn’t but the story is only a signpost to a deeper truth and experience beyond the sparkling and enticing meaning it brings. Just as the music called me onward, outward and deeper on Monday night so I feel the same yearning here. This relates to the ongoing dialogue between ambiguity and definition I wrote about in the previous post. Our brain needs something to latch on to in order to lead us into deeper experience. But if we stay clinging to that meaning we never get to the place beyond words. It becomes an idol, a false god that feels comforting and secure but ultimately has no power to transform us. The mistake is to see God as a ‘thing’ to be believed in or disbelieved: just as we might believe or not believe in the existence of the Loch Ness monster or unicorns. It’s a mistake that atheists and theists alike so often make, particularly as they argue with each other. Furthermore, so much damage has been done by those who think that God is a thing that can be possessed and understood. God is no ‘thing’ and when reduced to a ‘thing’ becomes an idol; a bright tendril of meaning that distracts from a deeper truth and a deeper transformative experience. So, even though I find the God story and the Jesus story meaning-full, which I do more and more these days, I hold those stories lightly because they are pointing somewhere else that is beyond themselves, somewhere far beyond my limited experience. And if I stay too long with these stories and comforting words I’ve fallen for the lie that I’ve already found what I was looking for. …So said Henri Matisse when he was interviewed in 1925 (although he said it in French of course). This brings home to me that throughout the process of painting I’m often caught in a struggle between definition and ambiguity. …He says elsewhere. Yes, of course he’s right. The paintings I find most compelling have just enough definition to allow me to enter into the world of the image but then plenty of space, plenty of mystery to open up possibilities for me to revel in the ambiguity of the piece. This allows my own story and experience to come alive as I explore the piece of the artist’s soul that he or she has put on the canvas. But this is not a comfortable process. When I paint I always have an instinct to be definite, to paint a hand that looks like a hand, or a face in the right proportions. I fear this is my ego expressing itself, trying to prove to the world that I can do it. But then the sense of freedom, the extravagant spontaneity of ambiguity fights back and I need to find a way of bringing chaos and unpredictability into my carefully constructed image. But soon the instinct to define returns and I attempt to corral the chaos of smeared paint back into a coherent image. Back and forth between ambiguity and definition. So, if “exactitude is not truth” then where does truth lie? Last year I was fortunate enough to be able to take a trip into the Sinai desert to visit St Catherine’s monastery. This is a small cluster of buildings at the foot of Mount Sinai. To get there we had to travel for hours through endless tracts of desert. The wilderness was awe inspiring. Sand, stones and mountains seemed to stretch forever and without the road we would have been truly lost, with no sense of place or direction. Experiencing this wild space without boundaries was a deep moment of the soul for me, I felt elated and free, as if anything were possible. I often find Orthodox Churches to be beautiful and affecting places so was excited as we arrived at St Catherine’s. But for some reason the building left me feeling empty and cold (metaphorically if not physically – this was the middle of the desert) and I found myself longing for the vast emptiness outside the walls. The ambiguity and limitless possibilities of the wilderness versus the stone walls and long history of ancient tradition: whilst my instinct longs for the former, I sense something important too in the richness of the latter. On reflection I think both are important. 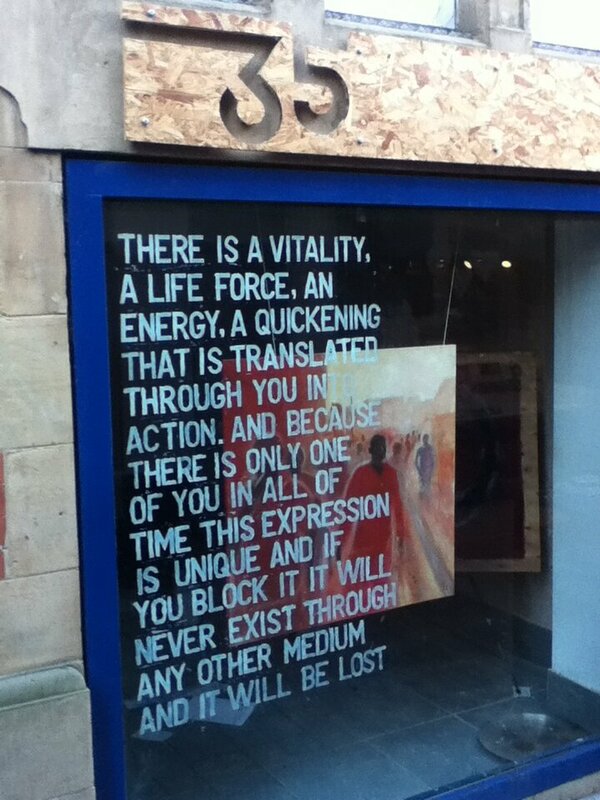 Just as in my painting the interaction between ambiguity and definition, at its best, is a creative one. So the tension between the wild spirit of the desert and the safe walls of the monastery can result in a fruitful and life giving dialogue. The desert may seem wild and exciting but I wouldn’t last long as I wandered without structure or boundary and the Monastery is so beautiful, its ancient rhythms offer a deep holding space for the soul but if all we have are the walls and structure then life is suffocated. This is the season of Lent when the Jesus tradition remembers his time in the wilderness. 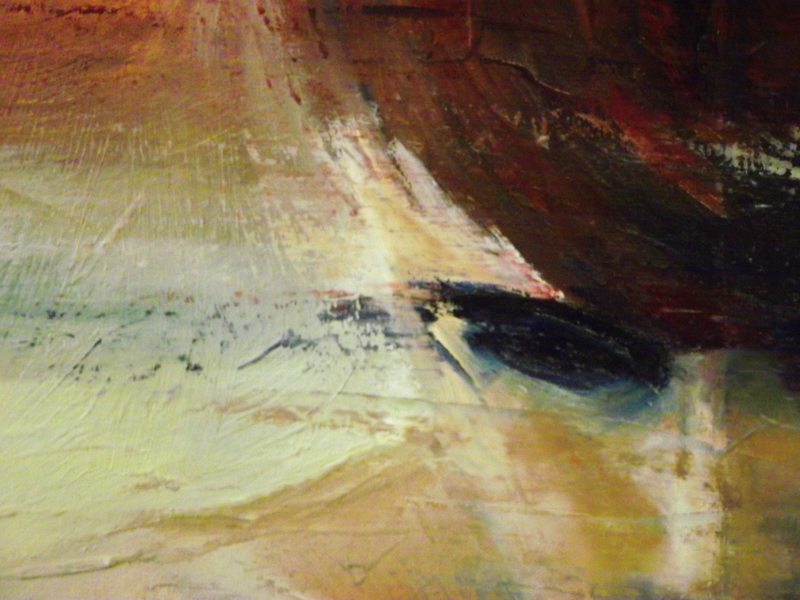 In my painting during this time I’m aiming for more ambiguity and openness. But I’m trying not to forget that the walls are there for a reason, rather than being a prison they may well be just what is required for life to flourish. Matisse is right, exactitude is not truth but sometimes we need it to point the way towards the Truth that is beyond anything we could ever imagine.